The Qigong Institute is a 501(c)(3) organization dedicated to promoting Qigong to improve health and healing by programs of research and education. We request your support of the Qigong Institute Donation Program. Donated funds benefit the educational and scientific programs of the Qigong Institute. All Officers and Directors are volunteers and there is no paid staff. All funds received go directly to operations and programs. To read a high-level overview of the shortcomings in the current Western medical model and how Qigong Institute-sponsored research initiatives on Qigong can help promote this profound complementary healing modality, click here. See the request for support for the Scientific Study of Qigong at the University of Maryland School of Medicine for a more specific proposal for the types of scientific study of Qigong supported by the Qigong Institute. Carry out fundamental research on Qigong and Energy Medicine. An example proposal can be found at Support for Scientific Study of Qigong/Taiji Healing. More information on this can also be found in the Expert Commentary: Qigong - Profound Energy-Based Health Therapy to Complement Established Western Medical Practices, which is in Nova Publisher's book entitled Mind-Body and Relaxation Research Focus. Expand the Qigong Institute presence at trade shows, health fairs, and professional conferences to inform more of the public about the profound health benefits of Qigong and to help provide a catalyst for the incorporation of Qigong and mind-body practices into our daily lives. Some prime examples of beneficiaries would be health care programs, programs providing chronic illness care, nurses, professional health care providers, and schools. 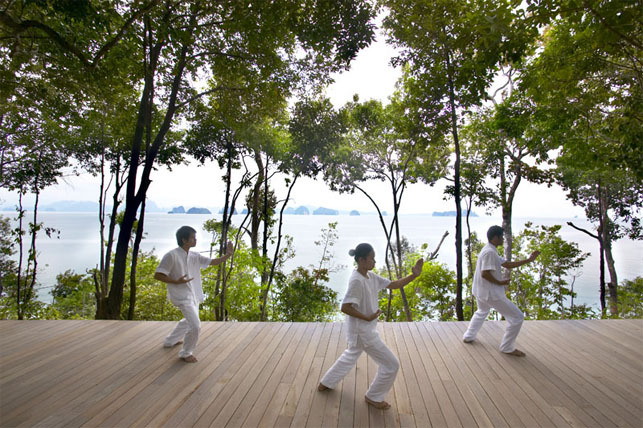 Becoming a member of the Qigong Institute is a good way to support its activities.